It was a gathering featuring scriptures and songs. A memorial service was held outside the Muhammad Ali Center Saturday morning one year after his death in Arizona. Saturday marks one year since The Greatest, Muhammad Ali, died in Phoenix. LOUISVILLE (WHAS11) -- Cave Hill Cemetery says it's already seeing increasing crowds at Muhammad Al's grave site and they expect the traffic to continue as the one year of his passing comes on Saturday. 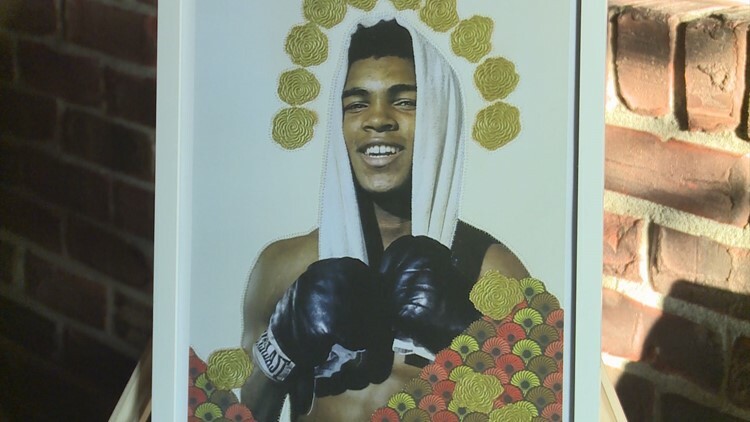 LOUISVILLE (WHAS11) – On what would have been Muhammad Ali's 75th birthday, service was the theme of the day. His widow Lonnie Ali spent the day in his hometown and made a visit to the St. Stephen Church Family Life Center. While Muhammad and Lonnie Ali lived their lives in publicly, few people saw their private lives and the great love they shared for one another. Lonnie talks about their love and Muhammad’s legacy.